So I have been fairly stressed out lately, struggling to keep my blog updated and more importantly keeping up with the news flow in stocks I own or follow. The reason for this has been a final push at my old job and everything that needs arranging before my move back to Asia. 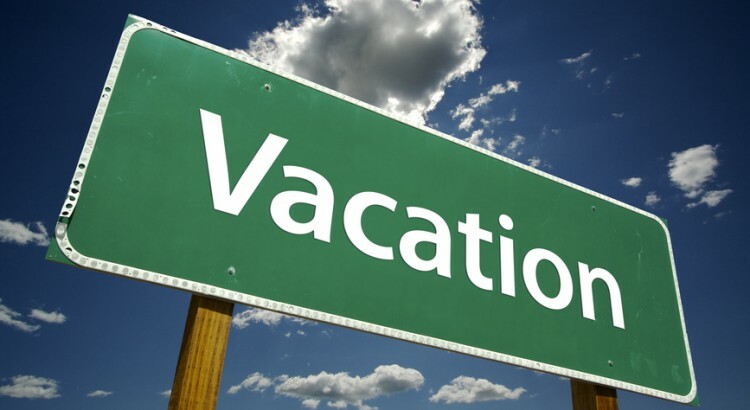 Now being through the worst, I decided it was high time for a vacation. And lucky me, weather is still summer-ish and I had a few nice super-relaxing days. So now with some time on my hands, I’m going to summarize some thoughts I had over the last few months. Let’s start with the big picture, what’s my view on equity markets in general? In my view we have all the signs of a late stage mature bull market. Of-course this topic can not be discussed without mentioning the low rates worldwide. Yes, this is unchartered territory, yes, we have never experienced this type of environment with virtually global zero rates. But at the same time that is what is said every time the market get’s toppish – This time is different (Reinhart and Rogoffs’ book title released in 2007 just before the crisis started) comes to mind. What I can conclude is that Every time is different – and that is the whole reasons why markets managed to get overvalued. I was sure we were rolling over into a longer bear market about 1 year ago, when the Chinese markets pulled the rest of us with them. Day by day I’m looking to be more and more wrong on that statement. But I did turn more short term bullish on Asia and Europe around April-May, I expressed this view in my post Market Thoughts May. But investing in this market I still have this nagging feeling of running in a dark room picking up glowing pennies wondering if the steam-roller is catching up with me? Markets do climb a wall of worry, but I feel a disconnect here, private investors are happily buying stocks, which can be seen by the silly out-performance of small and micro-cap companies during the last years. At the same time many “professional” (or let us say educated) investors have been more skeptical for quite some time. Let’s take a close look at this phenomena. European Small/Micro Cap investors feeling great! Let’s look at the following two graphs. 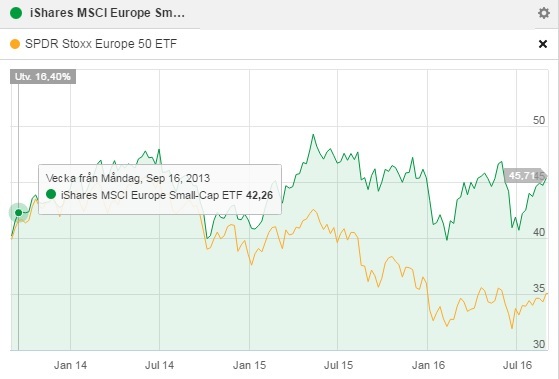 The first one shows MSCI Europe Small Cap ETF versus Stoxx 50 Europe (very large cap). The out-performance is striking, small cap +14% and large caps down -12.5%. As a large cap investor in Europe you really felt pain and as I already mentioned in May, far from recovering. But as a small cap investor, you are fine, great actually, just shy of all time highs. The second graph shows a much more extreme example, in Sweden. This shows the performance of the main index OMXS30 versus the wider OMX Small Cap index as well as the Micro Cap index of stocks listed on a venture exchange called AktieTorget. This smallest list is mostly available to local/nordic investors. It’s astounding, since the highs set by most indices in May 2015, this small cap benchmarks have gained another 35% and 55% respectively. No wonder that retail investors focusing at least partly at these smaller companies are feeling great. So I’m just going to say it – This is what a bubble looks like. I will try to actually give some historical proof of why that is the case. This graph takes some explaining, so bear with me, because it is has a very important point for the small cap style investing (red line in graph). This graph is taken from a very recent research piece on factor investing. For those of you not familiar with factor investing, it goes all the way back to Fama French’s (now old) groundbreaking research of how returns can be explained by more than the Beta in the CAPM model. This is today expressed through products like Smart/Enhanced Beta, Risk Premia Investing and such. A complex topic which I’m happy to write more about if somebody reading is interested. Are you new to this, at least read Fama–French three-factor model. So the three factors created in this test are called Small Minus Big (SMB), Up Minus Down (UMD) and High Minus Low (HML). 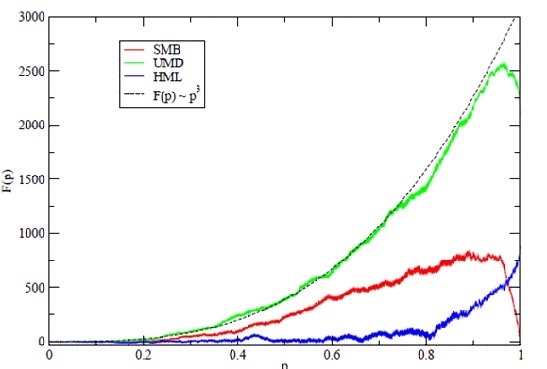 The UMD factor approximates Momentum investing and HML Value Investing. But what we will focus on this time is SMB – which approximates investing in Small Cap stocks. What this graph then shows is the out or underperformance versus a benchmark of these 3 factors. The SMB factor is constructed by being long small caps and shorting the benchmark (simplification). Instead of time on the x-axis this graph is constructed to show skewness of returns. They do that by sorting all returns for the whole time period (in this case since 1950). Imagine sorting all returns day by day for this SMB factor, from smallest daily changes first, to the largest (up or down) at the end. Then accumulate the returns starting with the smallest, until you finally added together all returns ending with the largest daily movement (not considering when it happened in time). This clearly shows that investing in small cap stocks works extremely well in normal markets, with great out-performance. BUT, when we start to see larger moves in the factor, it gives it all up again. As we know (also from other research) most of the extreme moves happen when markets fall sharply. So investing in Small Cap stocks really is like picking pennies in front of a steam roller, it works great, until it doesn’t and at least historically it has not added any major outperformance. 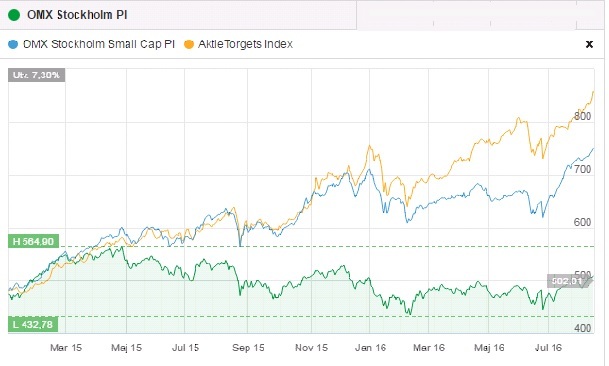 Saying it in another way, investing in small caps has a cycle of out and underperformance. Both Value and Momentum investing has historically shown both much better outperformance – and skewness results. Which is very attractive if you as me are afraid that we are in the late stage of the bull market. So for all of you out there who made great money in the small cap space – well don’t expect to get out at the peak, get out now. I will also try to minimize my exposure to small caps going forward. So I have previously alluded that it’s been tough going being a Value investor for quite some time. What I mean by that is that the Value factor has been underperforming. Of course Value can be defined in many different ways, the easiest being just ranking companies by Book to Price. Some investment banks have come up with more refined ways of defining it. I chose to present such a way, which is Pure in the sense it’s neutralized for Beta and Sector risk. As can be seen it has been doing very poorly. Keeping in mind the nice properties of Value outperforming in shaky markets that we just learned about in the skewness graph (blue line in graph above). Together with it’s current underperformance, it might be high time to start loading up on those Value stocks. And definitely something I have to spend some effort on since my portfolio is too geared towards high growth companies at the moment. It should be mentioned that this is mostly conclusions drawn on the European stock markets. The relationships in SMB in the US is at the moment are not the same. Much due to the S&P still at its all time highs, with some seriously large companies performing very well, so we are clearly in different stages of the cycle. I’m of the firm opinion that some larger stocks in the US are also valued too high. My next post will be about some seriously outstanding results and stock performance of my holding in the battery company Coslight Technology.